Thank You! You have Lightened Our Load! 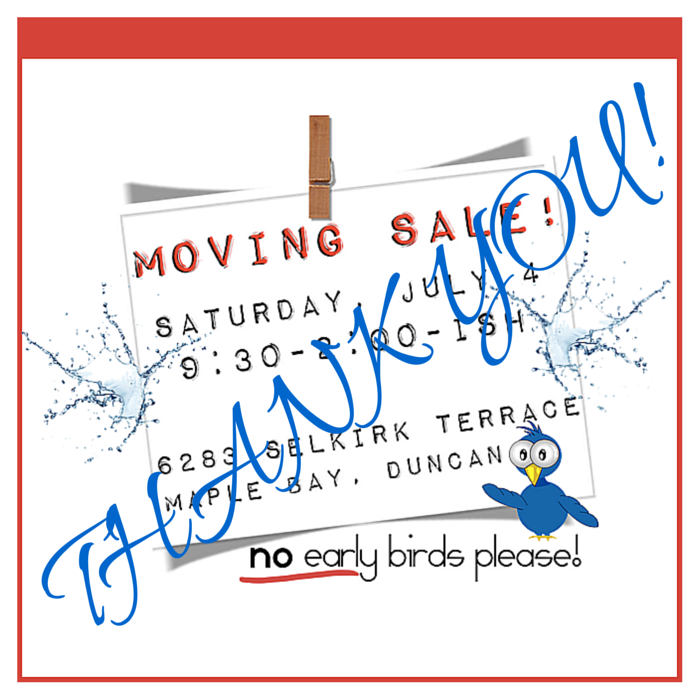 Our moving sale has come and gone, and we would like to thank everyone who came out in support, and of course who helped us lighten our moving load! But my good friend, Julie came to lend a hand – we priced and labeled on Friday afternoon, and early Saturday morning the Mr. and I laid everything out. Thankfully our weather cooperated, and we were able to pop-up shop in the yard… so glad everything was labeled ahead with a price as people started to arrive by 8:00 AM! A huge big thank you to Julie and also to my Dad for all your help! We are happy to put a ‘check’ beside this ‘to do’ on our moving list! 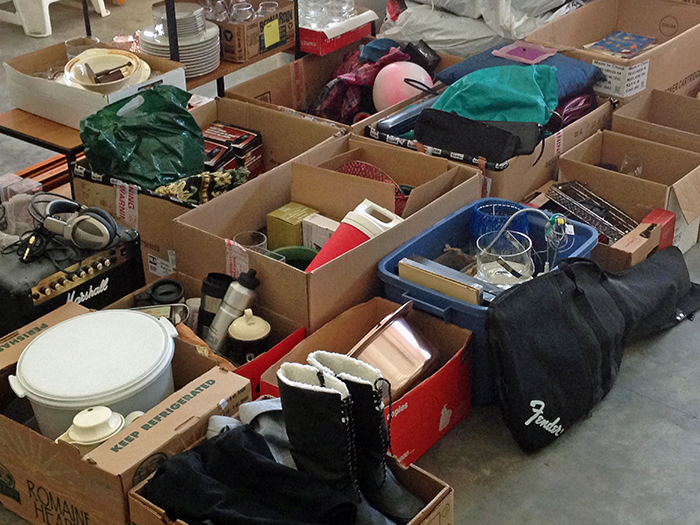 Previous PostPrevious MOVING SALE! Vintage Items in the Mix!